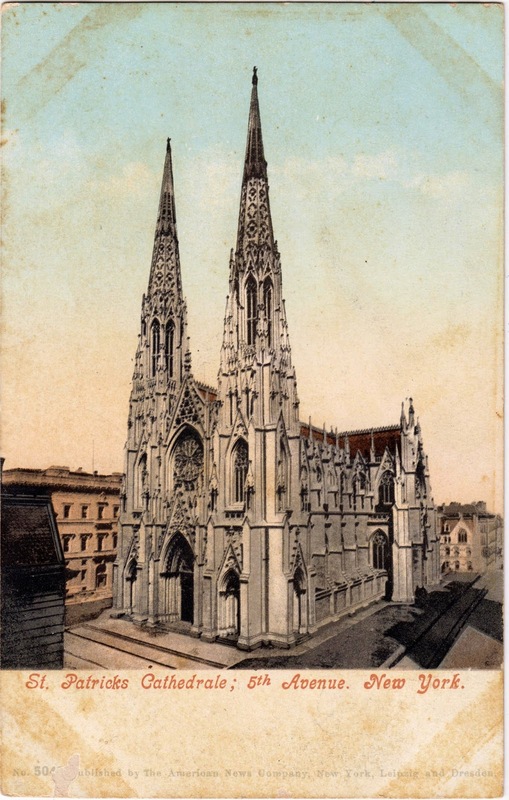 Postcard US-3263831 to California was a vintage card showing St. Patrick's Cathedral, a decorated Neo-Gothic-style Roman Catholic cathedral church and a prominent landmark of New York City, directly across the street from Rockefeller Center in midtown Manhattan and specifically facing the Atlas statue. The cathedral was completed in 1878, The cathedral and associated buildings were declared a National Historic Landmark in 1976. According to a spreadsheet of NRHP list from the National Park Service, it was listed in the National Register of Historic Places on December 8, 1976 with a reference number 76001250.